INCREDIBLE D.T. LOCATION. 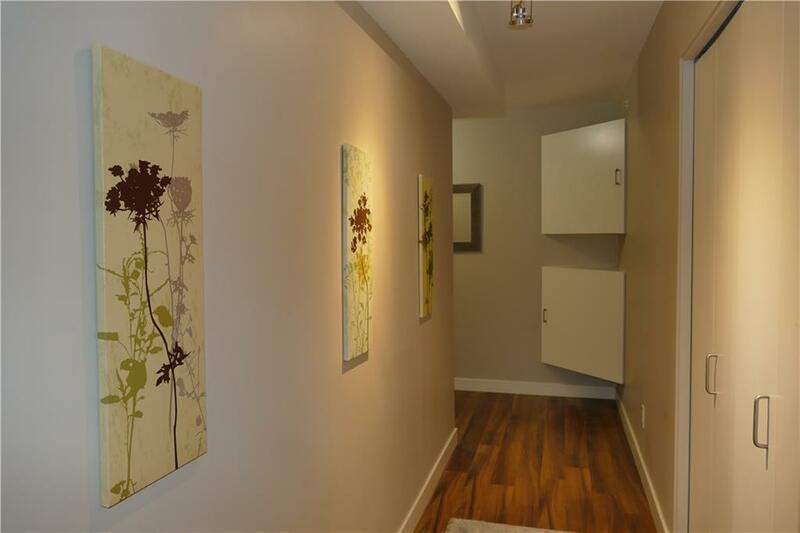 Spacious sunny 2 bdrm. 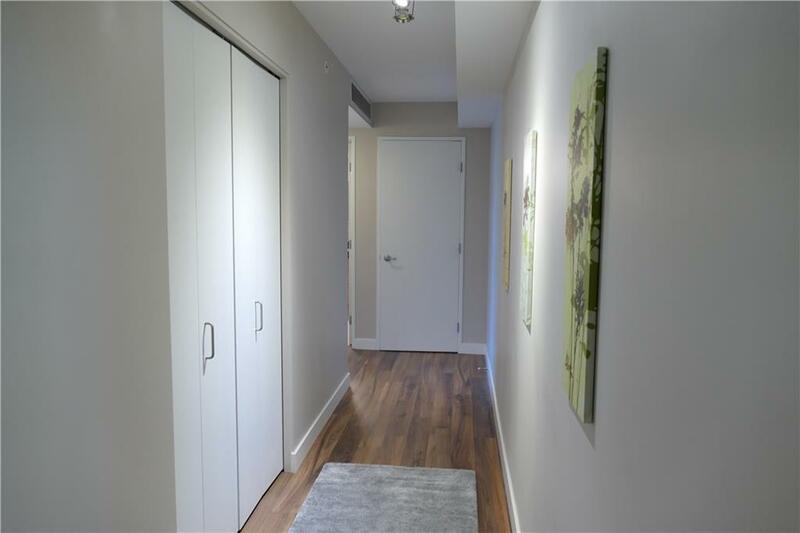 corner unit with WEST EXPOSURE, Oversize TITLED Parking & rare 400 sq. balcony! In-suite Laundry! Central A.C.! Wall to wall windows! Laminate & Tile Flooring! 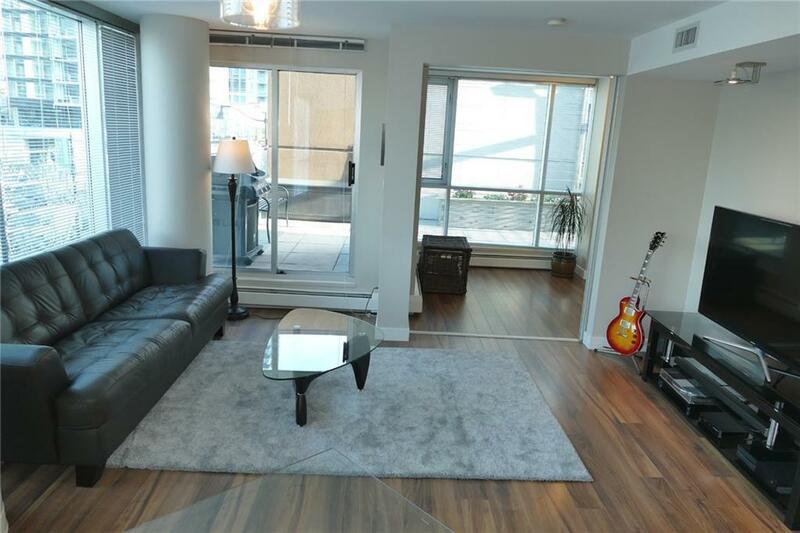 Sought after unit offers an abundance of natural light and the elegant glow of the downtown lights. Living room offers sliding patio doors to the expansive 400 sq. ft. balcony. Spacious maple kitchen with an abundance of cabinets, Black quartz counter tops, island with raised eating bar plus a dining area. Spacious master bedroom with generous closet. Sliding smoked doors open to a large second bedroom offering a custom Murphy Bed, making this a great flex area. Four piece bath with extended quartz counter, vessel sink & deep soaker tub/shower unit. Expansive common patios plus a rooftop patio! Living in the heart of D.T. 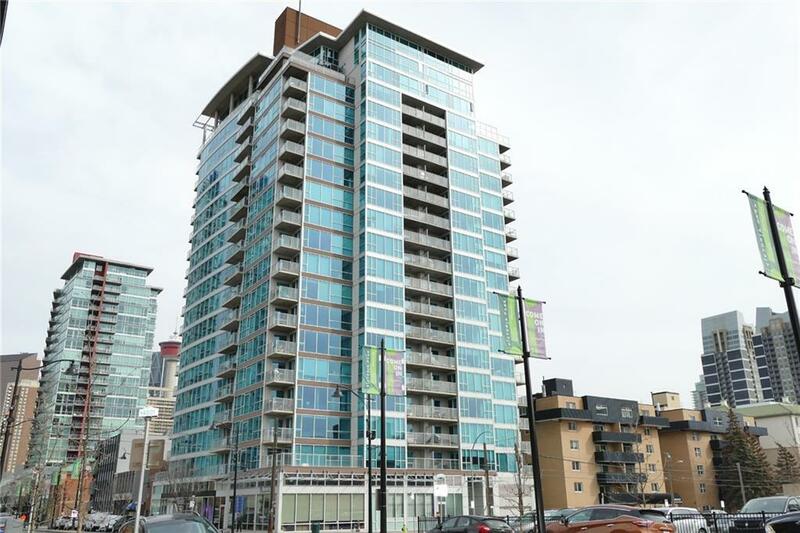 means walking or biking to work, walking to an incredible variety of dining and shopping on 17th Ave SW, Stampede Park, the Elbow River pathways, REPSOL Centre, LRT, and much more!